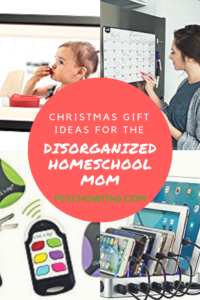 If you’re a disorganized homeschool mom, I have Christmas gift ideas you’ll love because I know what’s helped me become more organized. Even if you’re already in the process of getting organized, you’ll love these. If you’re looking for Christmas gifts for a disorganized homeschool mom in your life, I promise she’ll love these–with no offense taken! Be sure to read to the end for the best gift idea of all–cash! 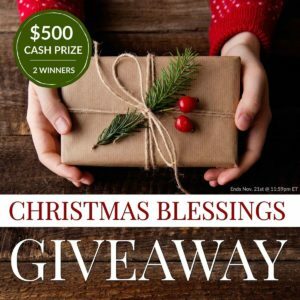 I’ve gotten together with some pretty awesome bloggers to give TWO families some CASH in the 5th annual Christmas Blessings Giveaway – $500 cash (delivered via Paypal). You’ll find the entry form at the end of the post. 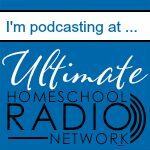 I was so disorganized that I was ready to quit homeschooling and having kids when we had three. 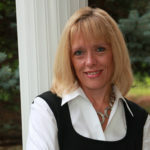 Then I found FLYLady, Marla Cilley who is the author of Sink Reflections. Her no-judgment, 15-minutes-at-a-time approach to getting organized changed my life. In fact, you’ll find my endorsement on the back of the book! If your home is in chaos, you will love this book and implementing the FLYing approach even more. 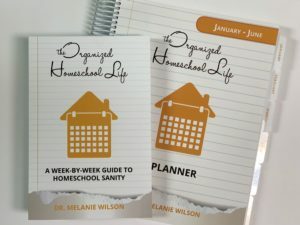 After creating routines and getting my home decluttered, I longed for organizing help designed just for homeschool moms. I applied the FLYLady 15-minute-mission approach to every aspect of a homeschool mom’s life (seasonal planning, school room organization, curriculum planning and much more). 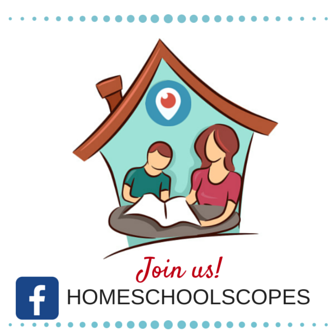 The result is The Organized Homeschool Life book and planner with a year’s worth of weekly challenges that will get your whole life in order. The planner helps you fit the missions into a daily task list that helps you balance family and personal needs. These tools have made me happier and more productive than ever and are the perfect Christmas gift for the Christian homeschool mom on your list. If you need help decluttering your closet, simplifying your wardrobe, and putting outfits together that make you feel great, Get Your Pretty On is for you. You’re given a shopping list of wardrobe essentials (whether you want a year-round basic wardrobe, work wear, or a fresh seasonal wardrobe). First, you shop your closet. You’ll have a number of these pieces already. Then you can thrift store shop, Black Friday shop, or request the remaining pieces as gifts. You’ll have a calendar of outfits to wear using these pieces and access to a private Facebook group that is so much fun! You’ll feel fantastic in your clothes–a great goal for the new year. The winter capsule wardrobe or the annual membership make perfect Christmas gifts. If you’re organized, you can use a crockpot. Put the ingredients in the slow cooker in the morning and dinner is done! But when you’re not that organized, the Instant Pot comes to the rescue. It’s a pressure cooker that is like the offspring of a slow cooker and a microwave. You can add frozen meat to it and in no time, your meal is ready and tastes like it’s been cooking all day. This cookbook makes a great companion gift. The Amazon Echo can help you get and stay organized with reminders, timers, automatic ordering, and quick answers. The bonus is you can listen to your favorite tunes while you’re organizing. When was the last time you vacuumed? I thought so. With a Roomba, that job is no longer yours. And it works with your Amazon Echo! Trying to get your family to check your wall or digital calendar can be trying. But everyone uses the refrigerator! Keep them informed with a magnetic dry erase calendar for the refrigerator. My daughter enjoys filling ours out each month. If your devices or back-up batteries are frequently low on power at all the wrong times, you’ll be a more organized homeschool mom with this multi-device charging station. If you frequently lose your keys or remotes, you’ll love this wireless key finder. Simply attach your keys to a device or stick one of the sensors to a remote and you’ll hear a noise directing you to the lost item. It’s a real sanity saver! Easily add this personalized carabiner to a backpack or bag to identify it. Perfect for kids’ activities! We all know it’s easier to get organized if you’re up before noon. If you’re a heavy sleeper (or your family members are), this super loud, bed-shaking alarm clock is the perfect gift for you. Do you have good intentions to scrapbook? While you’re working on creating the scrapbook habit, this digital picture frame will allow you to enjoy your photos now. Anyone can email photos to it. It’s on my gift list this year. If you a hotspot where items collect, a storage bench can be an attractive solution. I use this bench to store the kids’ extra shoes that accummulate near the front door. It’s a great place to sit and put your shoes on, too. Do you forget to reapply lipstick? I used to until I started wearing Revlon Colorstay Ultimate Lipstick. It wears all day and doesn’t dry out my lips. Perfect stocking stuffer for the busy homeschool mom. Pencils have to be sharpened and mechanical pencil lead breaks easily. These Pilot Frixion Clicker Gel Ink pens are my favorite. Fine point, eraseable ink. Problem is other people love them, too, and they disappear. They make the perfect stocking stuffer for your favorite homeschool mom. Pin this post to remember to shop later! 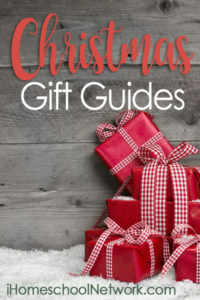 Want more gift guides? 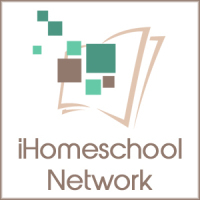 Check out this list from the iHomeschool Network bloggers. We hope that the prize will be a blessing to the winning families and will help them fulfill their kids’ Christmas wishes, pay off some bills, or to save for a rainy day. Whatever the money ends up being used for, our prayer is that it helps to lessen any financial burden and/or fills a specific need. There are lots of entry options in the Rafflecopter form below – the more you enter, the better your chance of winning! I know it can seem tedious and time consuming to go through all the entries, but isn’t a chance at $500 worth it? I think it is! Plus, all of these generous bloggers donated their own money toward the cash prizes and this giveaway wouldn’t be possible without them. So I hope you’ll take the time to check out each one. Who knows? Maybe you will find your new favorite blog. Wow, if I had an extra $500 it would go towards our curriculum for next year. We are on a limited income, living in rural Idaho with 8 people in our home, 6 with significant disabilities so this would really help. I am thankful for your blog! 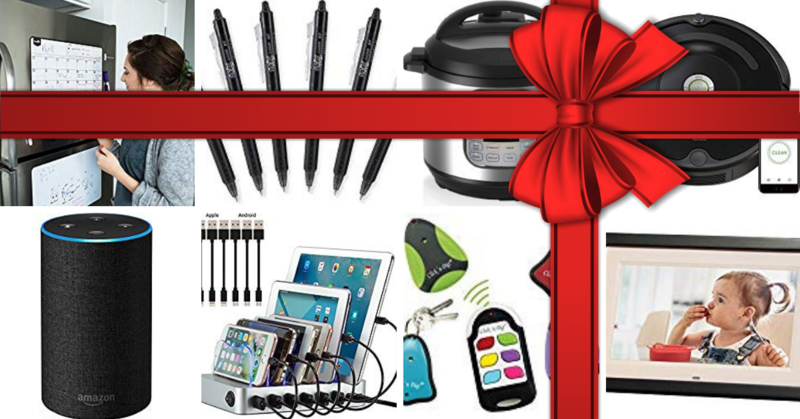 Great gift ideas and such a ice giveaway. Thanks for sharing your ideas. This drawing is amazing. I could do so much with this money at Christmas, I could finish my shopping and be able to donate some to the local food pantry to help feed our homeless. A 500$ blessing would enable me to give just a bit more to those that I cannot afford to give to. I would love to bless some families with a winning like this. Thank you for the opportunity. I love your podcast! My husband has been out of work for two months so I would use it for bills.